Many Holocaust survivors have built anew and are now successful heads of multi-generational families. But there in the recesses of their being lies the childhood that never was. They don’t speak about it. An adult would feel foolish expressing his regret over never having had the opportunity to play with dolls. But it’s there. Or rather, it is not there. A void that cannot be filled. Among themselves, the sorrow may come up in conversation. 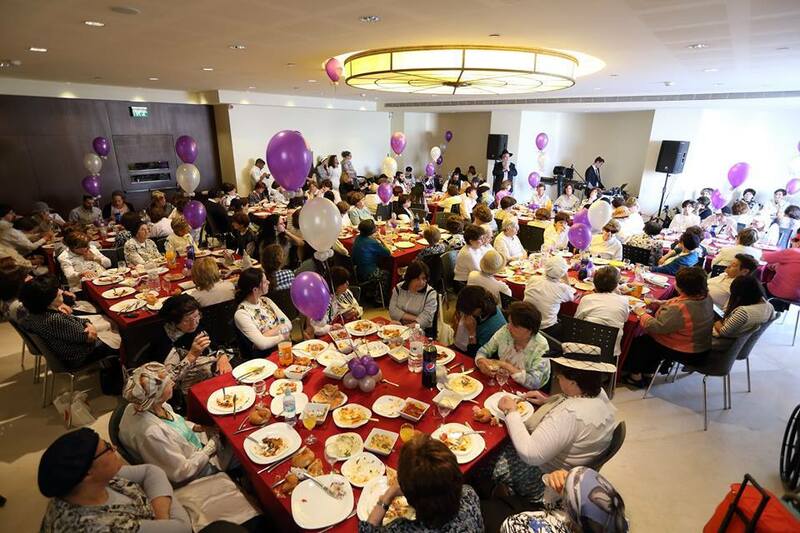 And at one other place: an Ezer Mizion Social Club for Holocaust Survivors. It was there that an idea was born. Would a formal celebration during the Golden Years serve as closure for the childhood celebrations lost in the wisps of crematoria smoke. Call it a Bas Mitzvah. Call it a closure of sorts. Would it serve to put to rest, once and for all, a few of the demons that still invade in their souls? The caring professionals at Ezer Mizion thought it may. Were they correct? A survivor spoke at the event, representing all of the attendees. These are her thoughts. I was a little girl, just nine years old. Alone, devoid of her past, and apparently, of a future as well. I never celebrated a Bat Mitzvah, not at age 12, and not after that, either. My childhood was stolen from me. They robbed me of the kiss and embrace of a father and mother, of games and life with my brothers and sisters, of a family’s caring, of a Shabbat and Yom Tov table, of learning at school and frolicking about in my free time. They robbed me of a sheltered life at home, sleeping cozily in my warm bed, of food that you don’t have to worry about every minute, of a normal life, where all the world’s evil remains far outside your walls. We will never be able to retrieve all that they stole from us. We built beautiful homes. We tried hard so that our children would not feel what we went through. And we did a good job. That’s a fact, and our children are the proof. And now, you have created this day to celebrate our Bat Mitzvah. How symbolic and how moving it is. We thank you wholeheartedly for this beautiful idea, which fills us with gratitude. 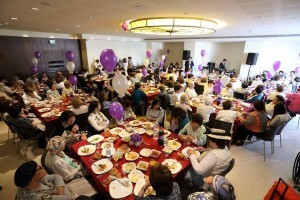 About a hundred Holocaust survivors, ages 75-95, dressed in festive clothing were brought to the Kosel. The event began with a visit to the “Chain of Generations” display and the “Behind Our Wall” in the Kotel Tunnels. An elegant meal was served, enhanced by musicians and by chazzan Dovele Heller, who sang chassidic compositions and nostalgic Yiddish tunes. Rabbi Chananya Chollak spoke, showering the survivors with blessings and each survivor was given a siddur with her name engraved on the cover. 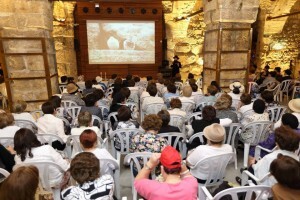 At the conclusion of the ceremony, the women were brought back to the Kosel for their first prayer using the new siddur. The women returned home excited and brimming with the experience. They felt that this was a meaningful landmark occasion for them. It strengthened their feeling that people have not forgotten them, and even in their waning years, took the trouble to arrange this important event.